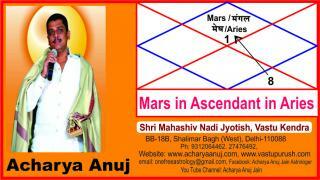 Astrology Course Part - 3, Mars in Ascendant in Aries sign. Know your personality type when the lord of ascendant (1 House) and 8th House lord Mars is placed in Lagna (Ascendant) Aries. Astrology Course Part - 4, Mercury in Ascendant in Aries sign. Learn astrology and know your personality type when the lord of 3rd house Gemini and 6th house Virgo being mercury is placed in Aries Ascendant. Astrology Course Part – 5, Jupiter in Ascendant in Aries sign. Learn astrology course at your own place – know your personality type when the 9th House lord and 12th House lord Jupiter is placed in Aries Ascendant or Lagna. Astrology Course Part – 6, Venus in Ascendant in Aries sign. Learn astrology on line course at your own place. Know the effects of Venus being the lord of 2nd House and 7th House place in Aries Ascendant Lagna. Astrology Course Part – 7, Saturn in Ascendant in Aries sign. Learn on line Astrology course at your own place. Know the effects of Saturn being the lord of 10th House and 11th House placed in Aries sign in Ascendant Lagna. Astrology Course Part – 8, Rahu in Ascendant in Aries sign. Learn on line Astrology course at your own place. Know the effects of Rahu in Aries sign in Ascendant Lagna. Astrology Course Part – 9, Ketu in Ascendant in Aries sign. Enjoy this fun Hindi song "Sun Sun Yara O Sun" from the Bollywood superhit action romantic drama hindi blockbuster movie Aaj Ka Boss (2008) starring Mithun Chakraborty, Swati, Urmi Negi, Rami Reddy, Dalip Tahil, Raza Murad & Manvi Goswami. Directed by T L V Prasad. Music by Ghulam Ali. 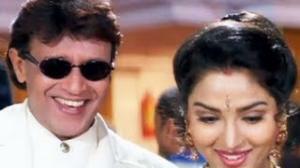 Watch Sun Sun Yara O Sun - Superhit Bollywood Song - Mithun Chakraborty - Aaj Ka Boss Video.